Wikipedia is a special case: its usefulness comes from aggregating the collective knowledge of the whole Internet. If you’re working on one project with a group of writers, however, somebody has to take charge at the end and make sure your separate contributions fit together. That somebody could be an editor, or—if you don’t have an editor in your office—one of the writers, chosen at random to give the project its final going-over. Your customer doesn’t want to have to act as referee between writers who can’t agree among themselves. Here is a novel by Wilkie Collins—or “Collns,” as it’s printed on the spine of the Oxford World’s Classics edition. Doubtless the whole cover—front, back, and spine—was designed as one unit on a computer screen, and the text of the spine was rotated 90 degrees. That makes it hard to read on screen—and for that very reason, errors are likely to go undetected in it. Because it’s rotated, you tend not to want to read it, and even not to think about reading it. The moral is that you should be doubly careful to check rotated text, before you print several thousand copies of a book with a famous author’s name misspelled on the spine. 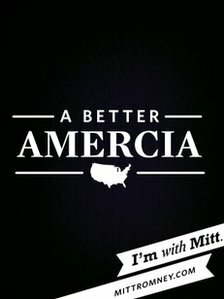 “A BETTER AMERCIA,” Mitt Romney’s iPhone app promised in big, bold letters right on the splash screen. (Read the story from the BBC.) Yes, it was embarrassing, but it was hardly surprising. The mistakes you miss are always the most embarrassing ones. In his varied career, the Editor has seen similarly embarrassing errors over and over again. In fact, the Editor himself has let them pass far too often. When you’re proofreading, whether it’s your own work or someone else’s, you focus right away on the details. You look for little mistakes that might have slipped by. And you all too easily forget even to glance at headlines. They’re so much bigger than the text you’re examining that they don’t even register as words in your mind. You don’t even consider the possibility that an error, instead of nestling hidden among the footnotes, might be glaring at you from the title. Learn from the Romney team’s amusing but perfectly understandable blunder. When you’ve finished proofreading, spend an extra minute or two looking at nothing but the big things.